RED ALERT!!! 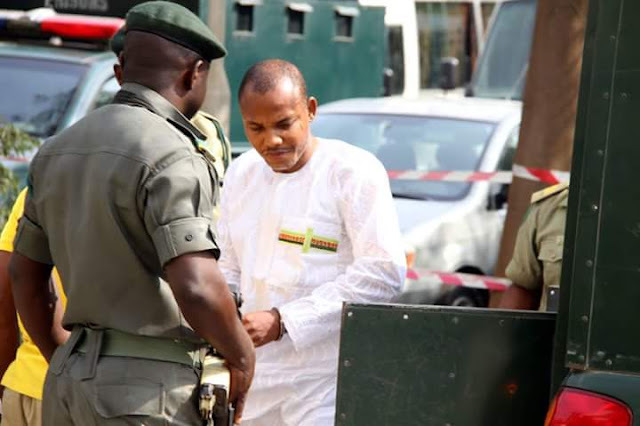 NNAMDI KANU IS IN PRISON AND NOT ON FACEBOOK: REPORT DSS FAKE ACCOUNTS! It has come to our notice that a fake account owned by DSS and operating as NNAMDI KANU on Facebook is actively luring naivè Biafrans to its page, with the intention of harming innocent IPOB. Please take note.....Nnamdi Kanu is in prison and incommunicado. He is without access to any social network. Kindly disregard any facebook or social network account posing as the leader of the indigenous people of Biafra. We are also advising all to click the link below and report this facebook account as fake, to prevent people from falling prey. Until Nnamdi Kanu is released, do regard every account as fake. Thank you.